SmartClinics offers a number of employment opportunities to suit a broad range of individual needs. Whether you want full time, part time or after hours work we’d be delighted to talk with you. Our GPs spend less time with business operations and more time helping others, whilst working in beautifully designed spaces. This in turn allows our Doctors to maximise their earnings through better use of technology and more streamlined workflows. You take care of your patients, while we take care of everything else. For more information about GP positions available at SmartClinics, click here to contact us, or you can send an email to Kate Cross at kate.cross@smartclinics.com.au, or call 0488734899 or (07) 3193 1300. Your details and topics discussed will remain strictly confidential. Many SmartClinics’ GPs are currently earning above industry average remuneration. Our GP Partners also enjoy annual dividend payments and capital growth of their shares over time. SmartClinics employs a highly experienced on-site clinical support team to ensure our Doctors can focus on helping patients. Additionally, our dedicated Support Centre takes care of all other core business services, such as marketing, hiring, training and payroll. SmartClinics offer patients the convenience and flexibility of extended hours. This has the added benefit of providing our Doctors with more options as to when and how often they work. We also offer our GPs flexible working agreements on 12 month contracts. Our fresh, vibrant clinics are truly like no other. Our GPs enjoy modern workplaces with all the latest tools and equipment needed to provide patients with the very best care. Furthermore, by using next generation technology, we’ve successfully reduced patient wait times without the need for rushed appointments. To keep our GPs at the front and centre of Australia’s healthcare system, SmartClinics has established strong connections with industry leaders and state and federal decision makers. This interconnectivity of General Practice and other healthcare stakeholders, strengthens health outcomes through closer interaction and communication within the industry. We’re also looking for savvy GPs who would like to become a Partner in one of our clinics. Our GP Partners can earn additional income by investing in their own SmartClinic and are part of our GP Leadership Group. There are currently investment opportunities for GP partnerships in a number of clinic locations. If you’d like to learn more about working with SmartClinics, please contact Kate Cross at kate.cross@smartclinics.com.au, call 0488734899 or (07) 3193 1300. Alternatively you can send us a message or request a call back by clicking here. 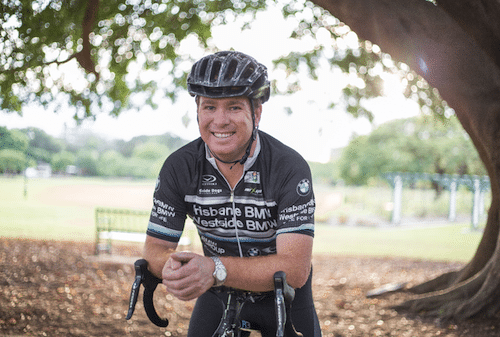 Meet Dr Scott Horsburgh – GP Partner at SmartClinics Annerley and Tour de France Wannabe. Click here to read Scott’s story on joining the SmartClinics Group. If you’d like to learn more about working with SmartClinics, please contact Kate at kate.cross@smartclinics.com.auu or call (07) 3193 1300. All conversations will be held in the strictest confidence.